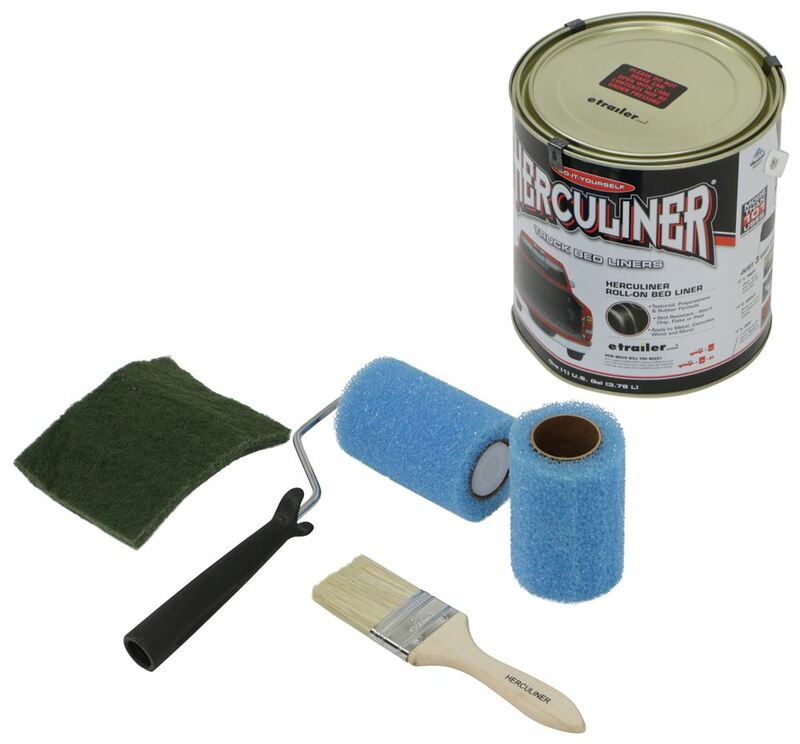 Roll-on bed liner kit includes everything you need to give your truck bed a protective, skid-resistant finish. 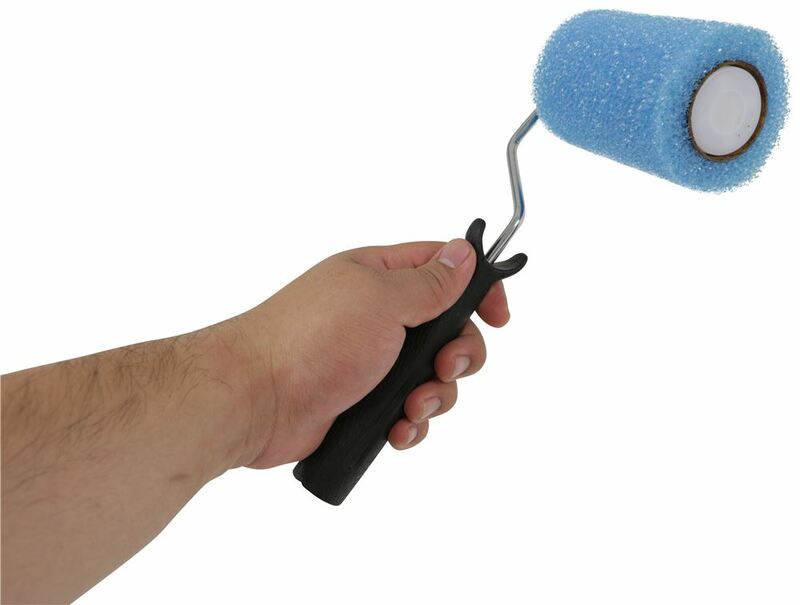 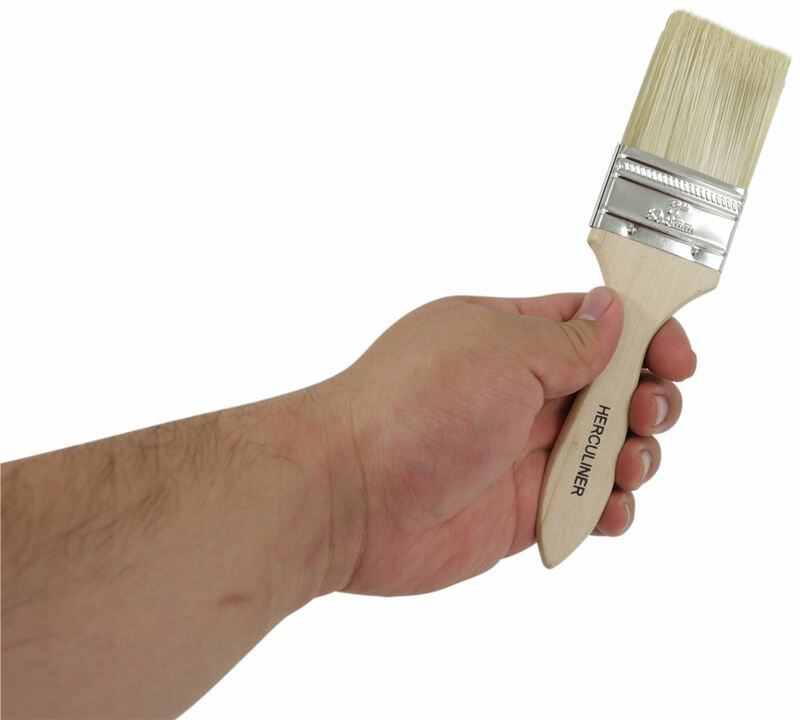 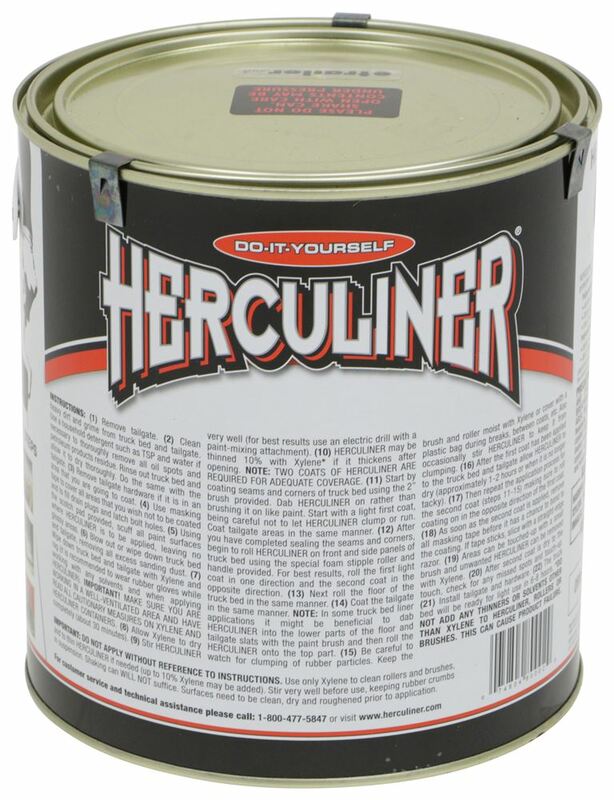 Tough polyurethane coating prevents rust, and it won't chip, flake, or peel. 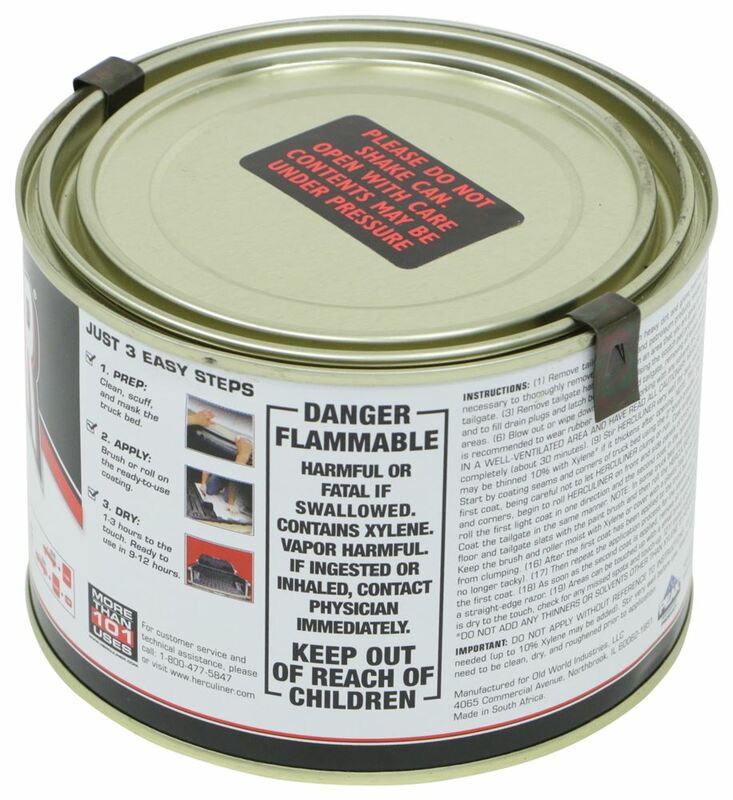 Applies in just 3 easy steps. 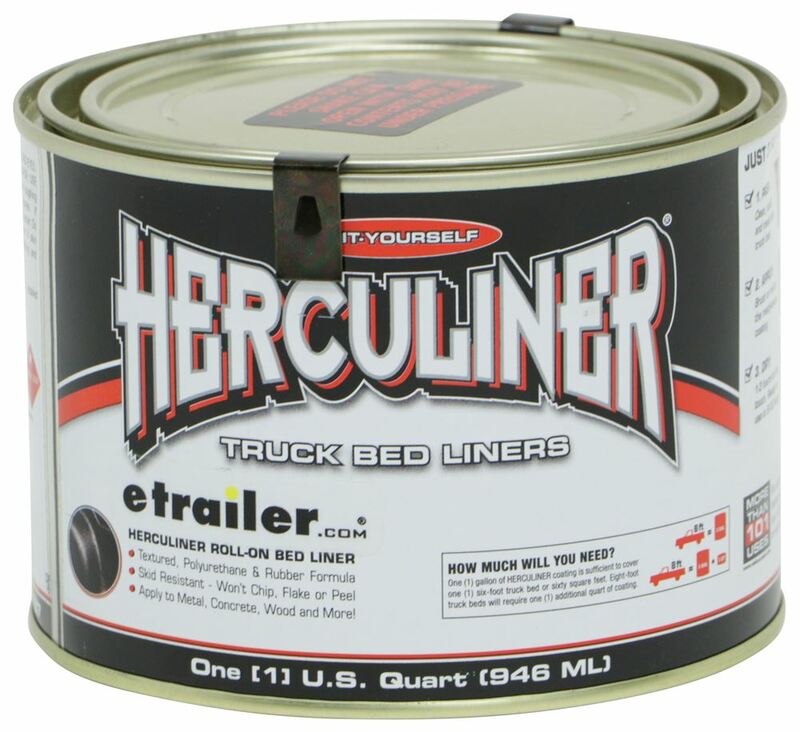 Lowest Prices for the best truck bed mats from Herculiner. 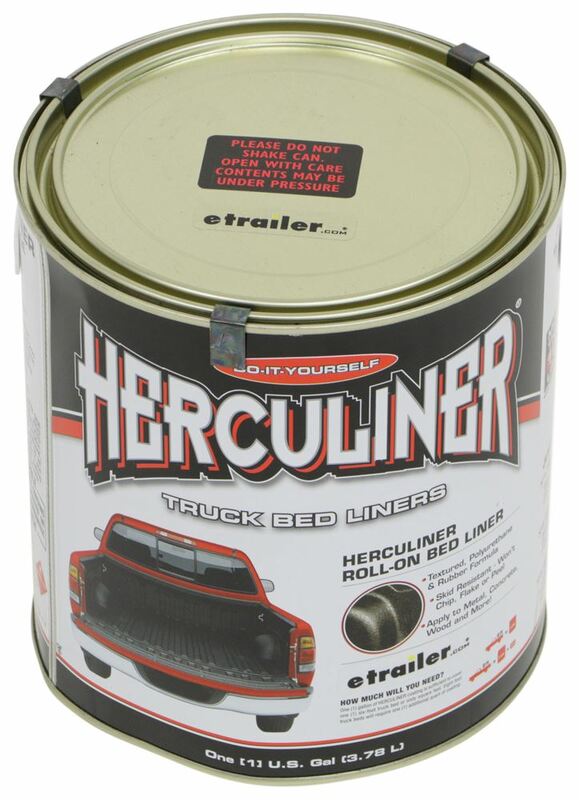 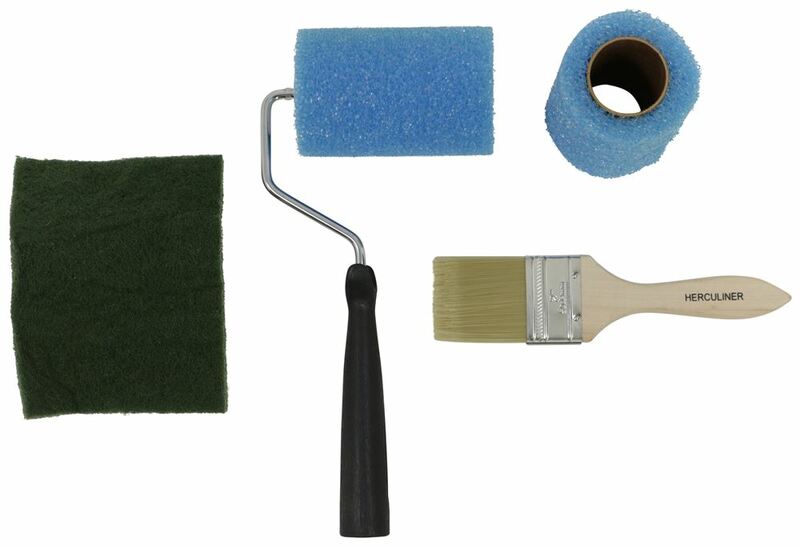 Herculiner Brush-On Truck Bed Liner Kit for 8' Truck Bed - Gloss Black part number HCL1B87 can be ordered online at etrailer.com or call 800-298-8924 for expert service. 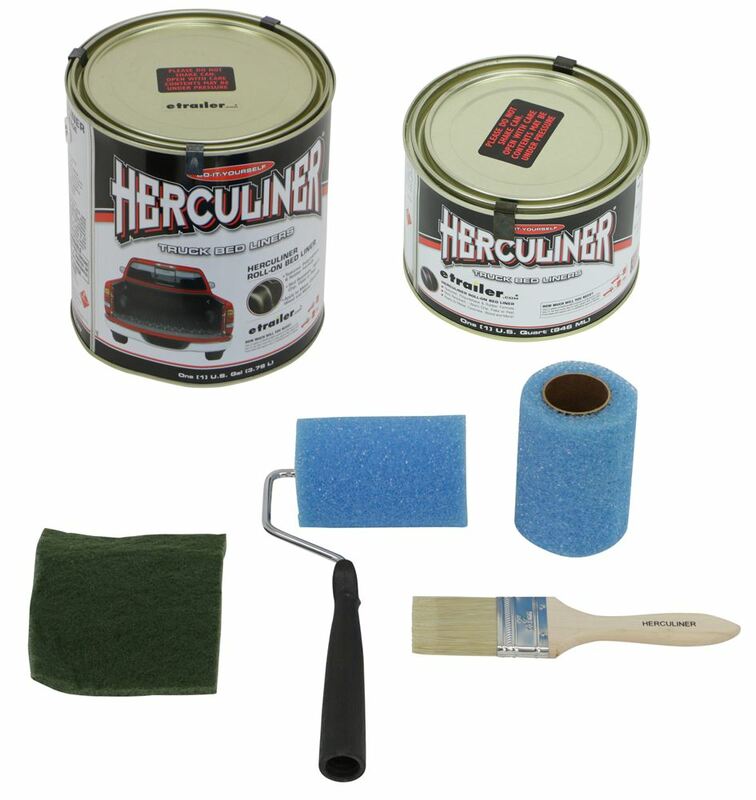 I spoke with my contact at Herculiner and he said that the Herculiner Brush-On Truck Bed Liner Kit # HCL1B87 will be 1/32" - 1/16" thick when applied with the roller. 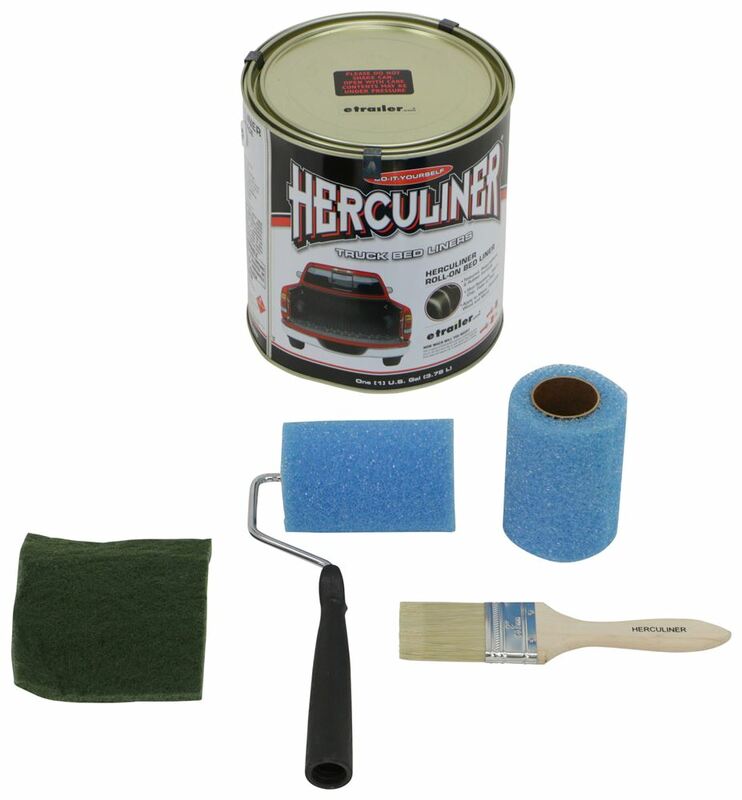 Yes, the Herculiner Brush-On Truck Bed Liner Kit # HCL1B87 can be used for your 1979 Ford F-150. 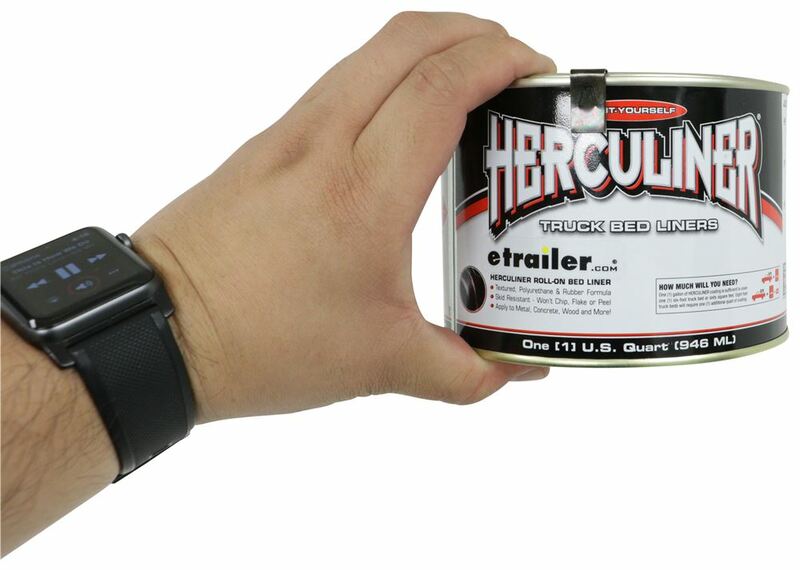 This is a great product for helping to protect the bed on any pickup and comes with a limited lifetime warranty.